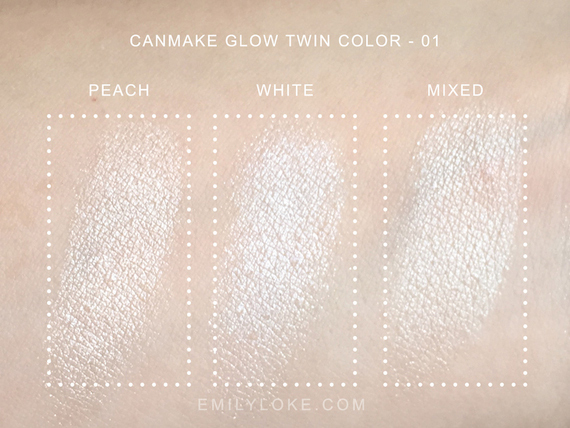 I picked up two Canmake Highlighters in Milky White and Baby Beige, plus a Glow Twin Color in 01 (which is technically an eyeshadow/eye-area highlighter according to the diagram on the back). Since I decided to review all these consecutively, I thought I’d first establish a baseline. This is what I look like with no highlighter on. Glow Twin Color was definitely the sparkliest of the lot. It contained a white-leaning-pink colour which had a fine, scattered glitter and a pale peachy colour that was frosty with no glitter. The latter reminded me a lot of Physician’s Formula Translucent Pearl…which I really need to get around to reviewing. 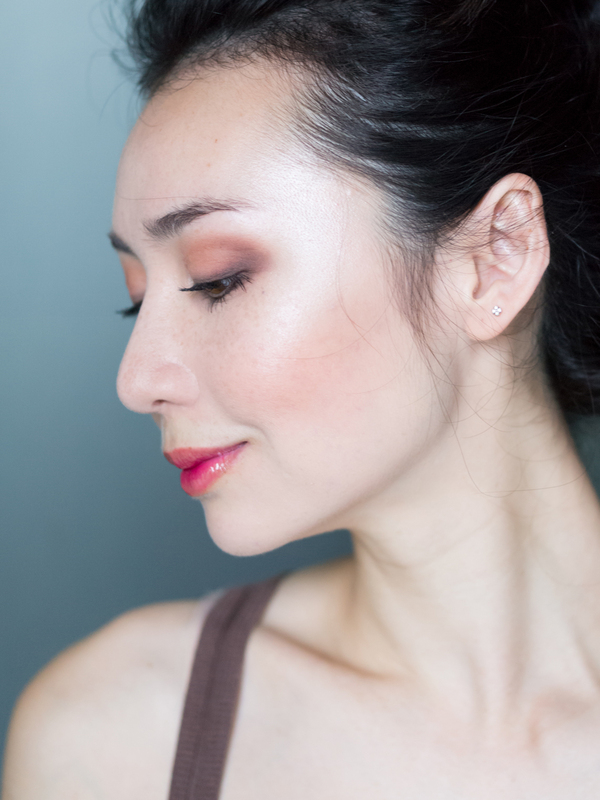 I swirled the two colours together for this look, and was rewarded with a very dramatic, shimmery highlight that reflected bright white. I thought the glitter would be really obvious, but it wasn’t at all. 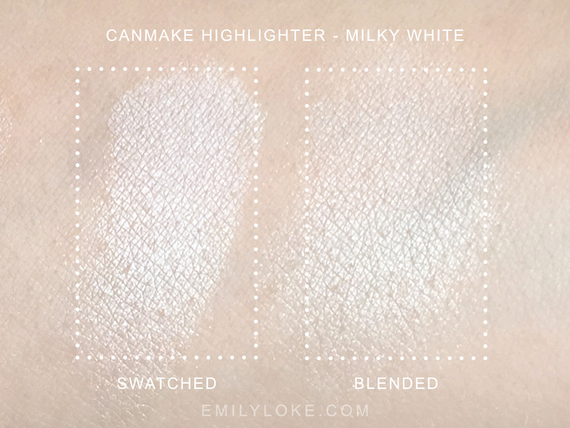 Milky White looked the most matte in the pan, so I was surprised at how visible of a sheen it had. 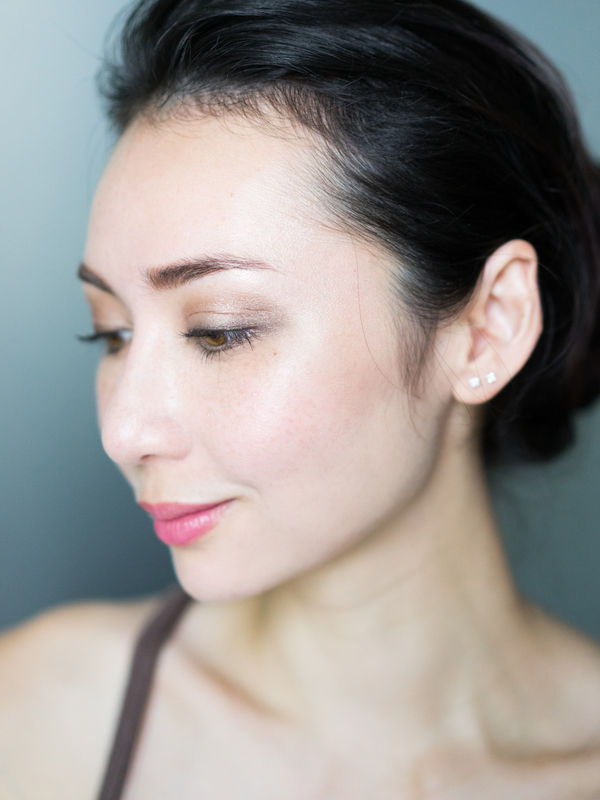 This turned out to be a highly pigmented white highlighter that didn’t contain any glitter particles. 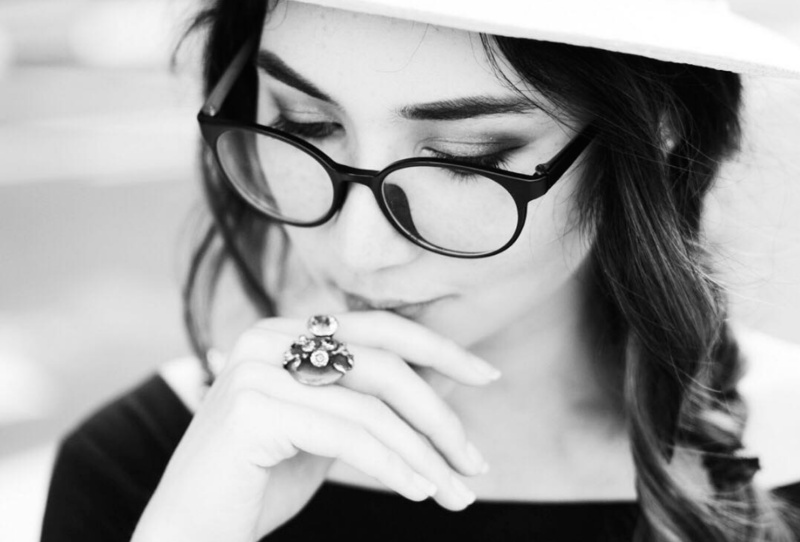 It gave my skin a frosted sheen that reflected a fairly opaque white. Baby Beige was the most natural looking of the lot. 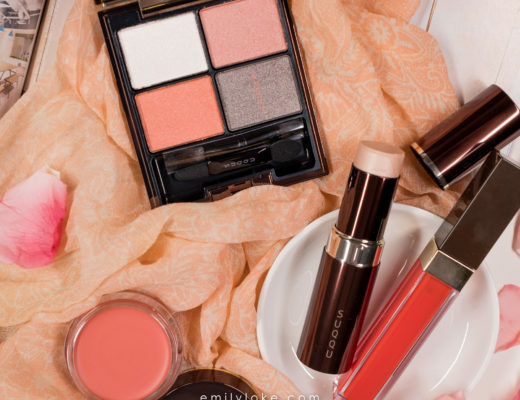 If you look really, REALLY closely at a thick swatch (in real life) it has the tiniest hint of fine pink glitter in it, but this wasn’t noticeable at all on my face. 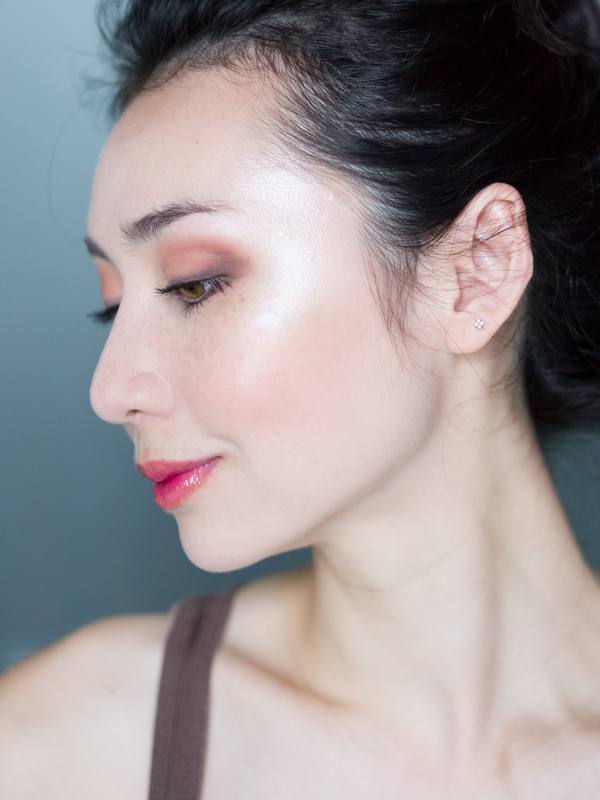 This gave me a really natural, luminous glow. 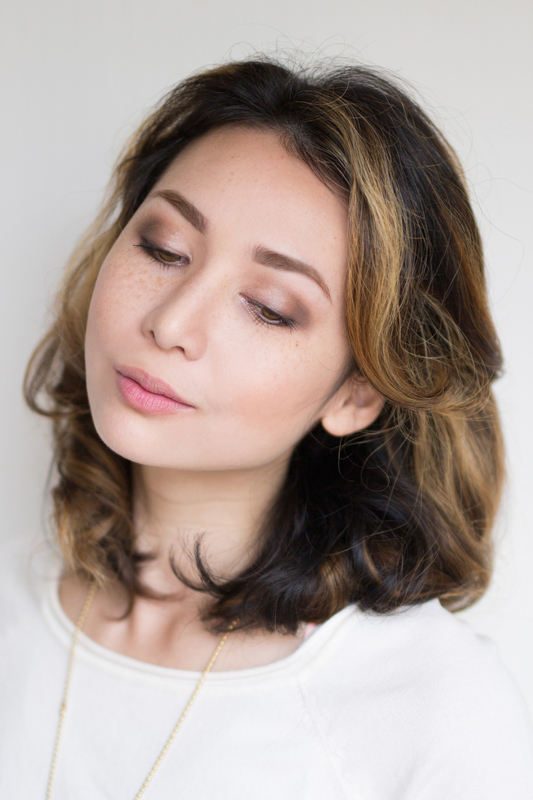 I was surprised at how refined the effect was, especially considering it’s a drugstore product. This was definitely the crowd-pleaser of the group. 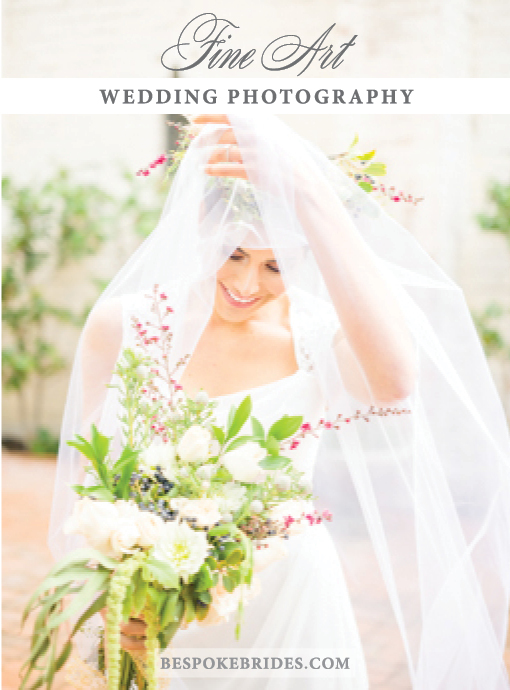 In the interest of being thorough, here’s all the photos side by side. The order is as above: Glow Twin Color, Milky White, Baby Beige (click to enlarge). 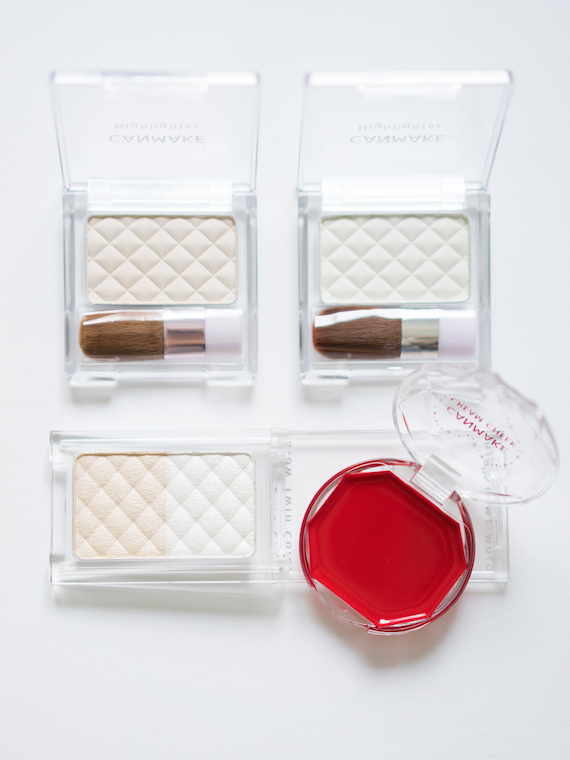 And here’s all the products swatched side by side. 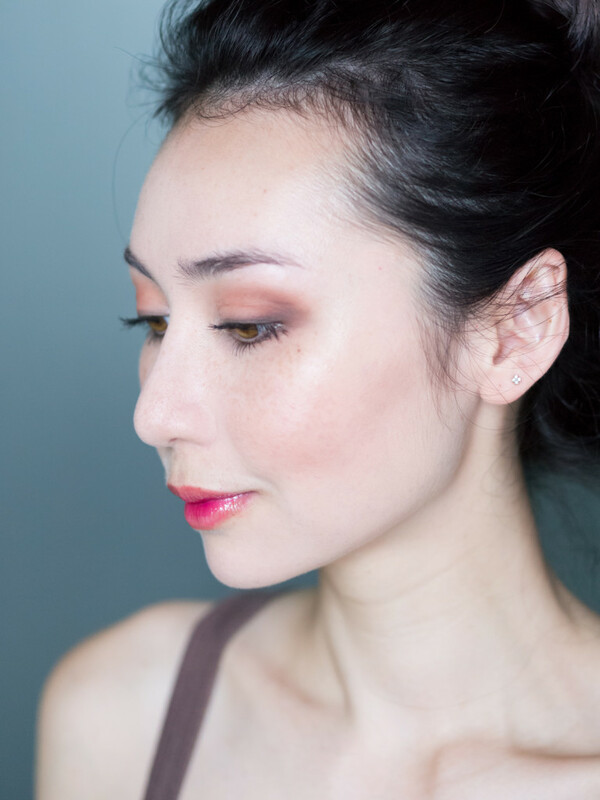 Glow Twin Color is a really great drugstore option if you like strong, shimmery highlighter. 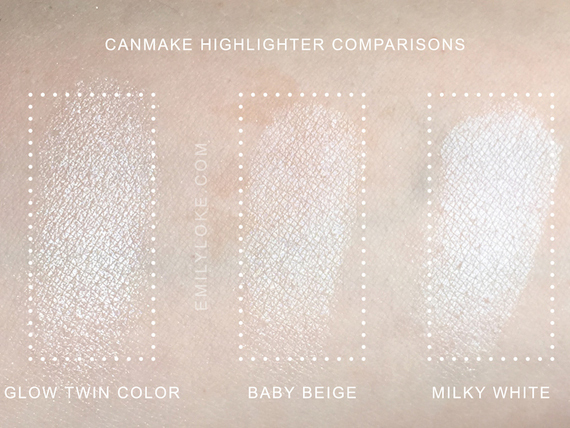 Milky White would be perfect for you if you’re very pale and want a highlight that’s more noticeable. 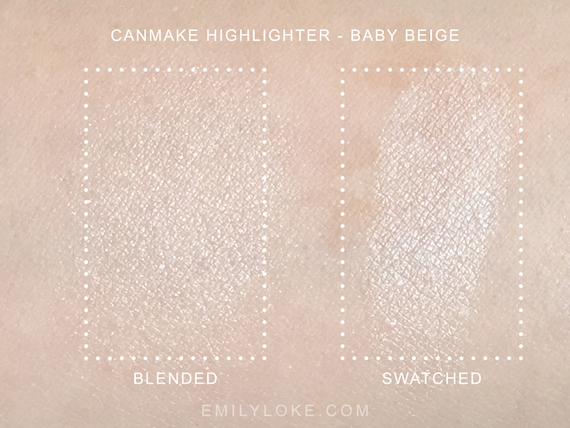 And Baby Beige is an excellent “everyday” highlighter for a luminous sheen that’s very flattering and natural. For my Singapore readers, Canmake products are available at Watsons stores across the island.